These maple-bourbon-bacon wings are a sweet and sticky treasure. 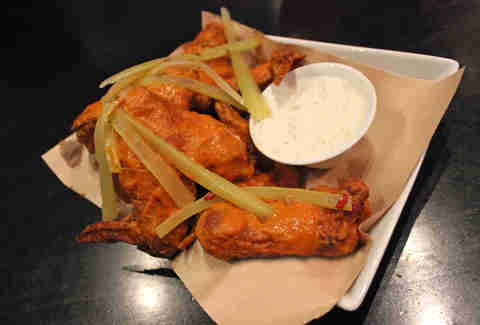 The maple flavor works in conjunction with the savory touch of bourbon to complement the natural the flavor of the wings, which are further kicked-up by flecks of smoky bacon. Usually it’s all about the wings covered in delicious, delicious sauce, but these Cajun wings are just too damn good to ignore. The mixture of crispy skin and spicy Cajun seasoning is a flavor-blast straight from the delta, and when paired with a frosty pint, you really can't ask for a whole lot more. 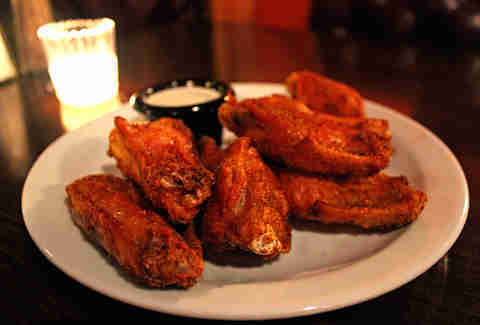 The smoky wings are served basically naked, but you’re allowed to choose from a variety of sauces. We recommend the Korean BBQ with an additional side of ranch because the tangy BBQ sauce pairs perfectly with the crisp skin and subtle smoky flavor of the wings, while the ranch adds richness and body. Best of all, these things are huge and meaty and a full order is easily a meal in and of itself. 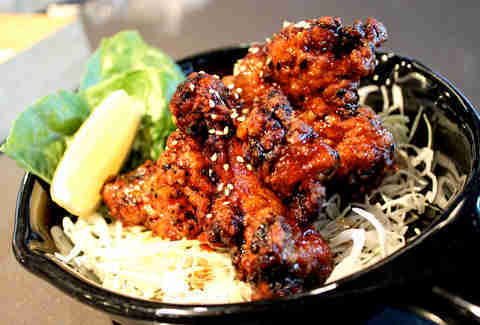 Some of the most labor-intensive wings out there, these things are individually butterflied for a maximum meat-to-mouth ratio, and then they’re marinated overnight in a homemade teriyaki sauce before they hit the fryer, which results in an outrageously crispy exterior and a succulent, juicy interior. 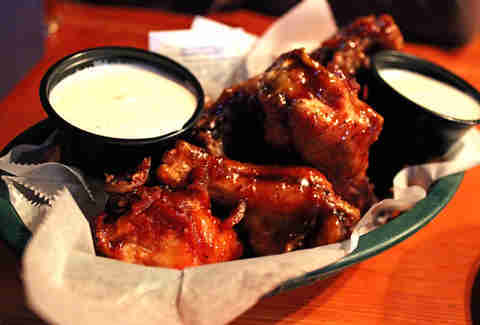 The smoked wings at Icehouse are the perfect blend of low-brow meets high-brow. The slight smokiness of the wings elevates the sweet, yet softly spicy sauce, and we could easily eat a bowl of that marinated celery. Seriously, it’s amazing. 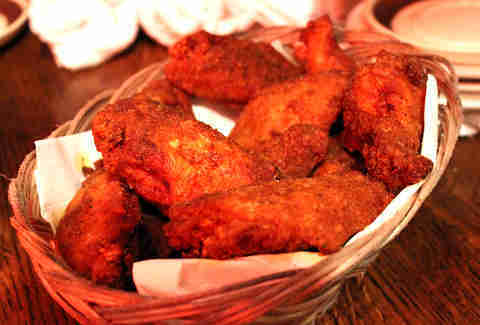 Another example of a crispy, fried wing that somehow manages not to destroy the juicy meat within. 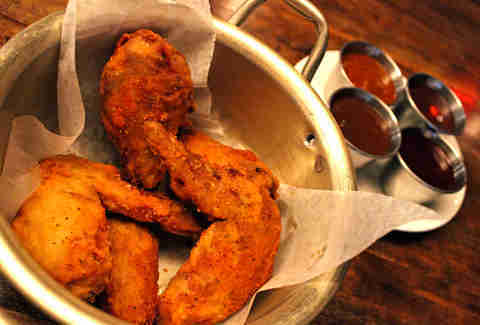 Beautifully seasoned with a variety of spices and served with your choice of one of four dipping sauces, these decedent wings are a serious treat. 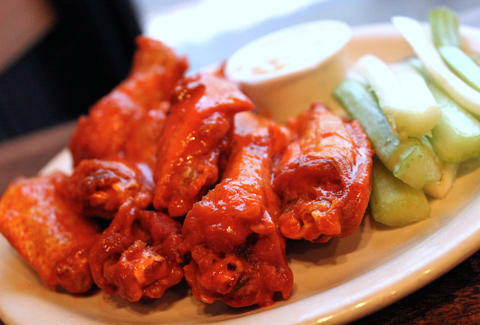 As far as classic Buffalo wings go, these are the ones. 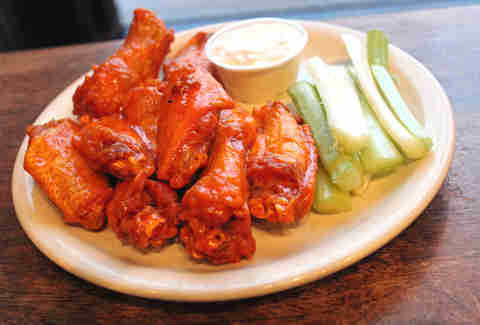 They’re the epitome of what a Buffalo-style wing should be. They’re cooked crisp, tossed in a spicy, buttery sauce, and served alongside a cup of blue cheese dressing with few stalks of celery. Seriously, there’s nothing not to love about these. These Beijing-style wings are pretty regularly ranked as the best in the city, and it’s pretty easy to see why. 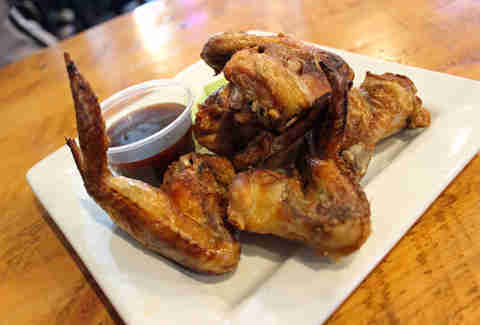 While there’s very little about these that are actually Chinese in original, they’re fried using a dry rub that's laced with subtly Asian flavors like orange, cinnamon, five-spice, and coriander, which results in an extra crispy crust encapsulating a perfectly cooked wing. They’re also served sans sauce, which in most instances is not okay, but for some reason with these, it just kind of works.